Finding hidden deals and saving money are amongst some shoppers' most treasured eBay pursuits. For some, online deal hunting and searching come naturally; they seem to be able to hone in on amazing deals almost by instinct, finding just the right keywords at the right times and apparently having very good luck on a regular basis. 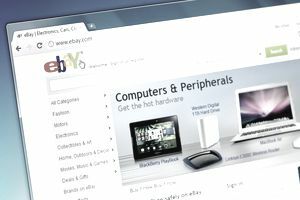 For the rest of us, there's the eBay Advanced Search tool, which you can access by clicking "Advanced" to the right of the "Search" button on the eBay home page. Visit Advanced Search, enter your product or keyword in the top box, and then scroll down to make use of some of the special tools that Advanced Search makes available to you. Here are four great ways to find deals using Advanced Search. Most of the time, auction format listings on eBay get bid up to reasonable market value levels, particularly for common products that are in reasonable demand. Every now and then, however, a listing is posted that just doesn't get many bids, even though it should. Maybe the photos aren't quite what they could be. Maybe the listing duration was too short. Maybe the title is slightly misspelled or the product has been misidentified. Whatever the reason, if there's a listing for a product you'd like to buy that's about to end with few or no bids on it, you'd probably like to know about it. Maybe even snipe it. But how to find such listings? Scroll down to the "Show results" area of Advanced Search and check the line that enables you to search for listings ending within a certain time frame. Opt to find listings that end within one hour, as this gives you listings that are close to the final value they'll achieve if you don't bid on them. Look for listings with few or no bids, or listings that are significantly undervalued and place your bid. You could just win the item for pennies on the dollar. You can do a similar thing with the option to search for listings that have a particular number of bids. Search for listings that have from zero to one bid, for example, to find listings that few other shoppers have found, for whatever reason. For a double deal-finding whammy, combine with the previous search technique (you can check both lines) to find listings that have received little attention and that are about to end. eBay offers sellers the ability to temporarily mark fixed-price goods down to "sale" prices for promotional reasons. While some sellers use sales constantly without actually discounting much (essentially "discounting" items to their market price, just for the appearance of being "discounted"), other sellers do reduce prices to stimulate buying or to move overstock or seasonal goods. Check the "Sale items" box to search only for items matching your keyword(s) that have also been temporarily discounted by their sellers. Sometimes these discounts can result in very good prices. Making offers to sellers has become a time-tested way for getting better-than-expected deals on eBay items—but it can be difficult to find items for which sellers accept offers when relying on eBay's general search tool. Happily, you can search only for items with offers accepted by checking the "Best offer" box in the Advanced Search tool. Search for your items this way and scour the results for sellers with great feedback and already relatively low prices—then make them an offer that is 5-10 percent less than their asking price, and you'll usually seal the deal.